The EDDA 2019 jury will only consider dissertations in Operational Research defended between 1 February 2018 and 31 January 2019. The dissertation must have been defended in a University located in a member country of EURO. The author of the dissertation must be a member of a member society of EURO. The jury selects a short-list of finalists who will present their work in a special session at the 30th European Conference on Operational Research in Dublin. There is no registration fee for each finalist. EURO will also contribute to the travel and accommodation expenses. The winner will be determined by the jury at the end of the special session and will be announced by the chair of the jury during the closing session of the EURO 2019 Conference. 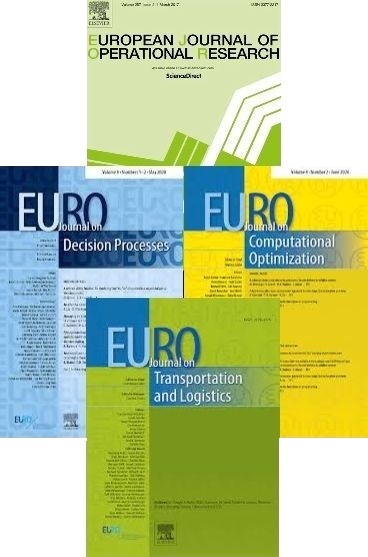 Applications should be submitted online http://www.euro-online.org/awards/edda2019/registration.php by the deadline of January 31, 2019.